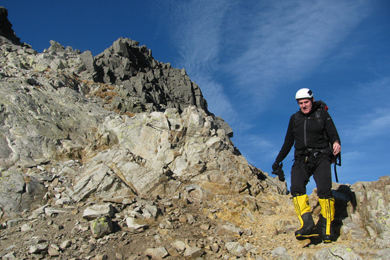 Baranie rohy (Ram Horns) are a great High Tatras summit suitable even for less experienced tourists accompanied by a mountain guide. The views from the top are as beautiful as from higher Tatras peaks - Zelene pleso (green lake) right underneath you yet 1000m lower, Pysny and Ladovy peaks, and views of the ascent route up Prostredny hrot on the opposite side of the valley. The ascent begins at Hrebienok and goes up Mala Studena Valley to Baranie sedlo (ram col). From there, our mountain guide will lead you to the summit through some easier technical sections. 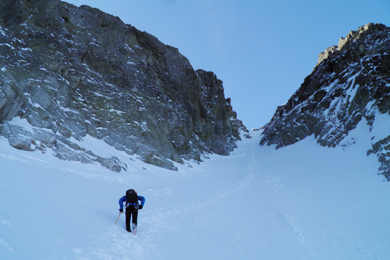 Descent retraces the ascent route. Baranie rohy are nicely located above Mala Studena Valley and Velka Zmrzla Valley. 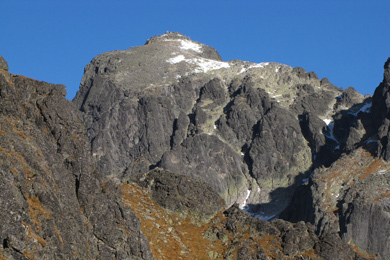 It is a two-peak summit of about the same hight – SW summit being the main. The main characteristic of this mountain is its “high plateau” referred to as Barania gallery (ram’s gallery) that is located above the steep SW face. It is expected that the first climbers that reached the summit of Baranie rohy were around the year 1930.